The Results Are In… And Another One! 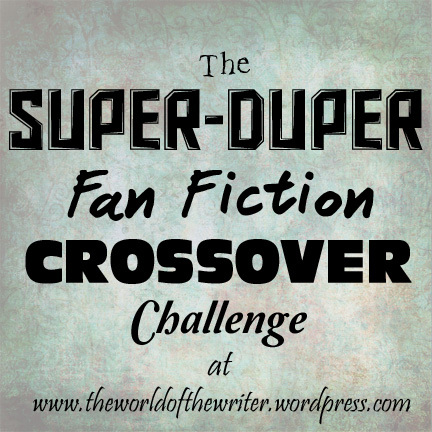 I’ve finally finished the judging for the Super-Duper Fan Fiction Crossover Challenge! Don’t worry, the next contest will be easier to say. Hopefully. As I stated in the original post, all of the contestants get a shoutout and a link. So let me introduce you to both all of our contestants! Go check both of them out! I’ve spent a long time deliberating over this. Both contestants did a wonderful job, and I loved both of their stories! But, unfortunately, there can only be one winner. It was super close (only one point separated both of them!). I hope both of you – and everyone reading this *points finger at you* – will enter the next one! That’s right. We’re doing another one. In honor of the release of Avengers: Age of Ultron, the deadline is May 1st!!! So go start writing! Remember to come back tomorrow for the Paralyzed Dreams virtual book tour – it’s going to be a blast! 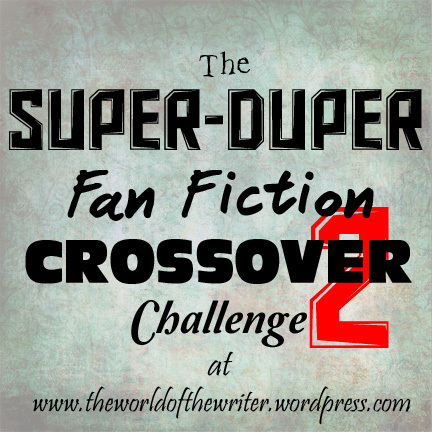 The Super-Duper Fan Fiction Crossover Challenge! As you can see, I’m horrible at naming things, including challenges/contest. 😛 But does that surprise anyone? So, on to the challenge/contest. Basically, you are to write a fan fiction crossover. (Duh… *facepalm*) Since I will be “judging”, the fandoms must be ones that I know, from movies or books that I’ve watched. I’ll give you a brief list. Pick two, or if you think of a different one you’d like to do, comment and ask. I can’t properly evaluate characters from movies and books I don’t know. Ah, so now that we have that over with, we can continue. You do not have to do a book and a movie, I just wanted to provide plenty of choices. If you don’t see something you’d like to do, just ask? Feel free to do multiple crossovers and submit all of them. Speaking of submitting… After you finish writing your story, post it on your blog, if you have one (if you don’t, borrow a friend’s, or comment and ask me… hopefully I’ll think of a solution…). Then post a link in the comments here so that I can find your post. The deadline shall be… February *goes to see if it’s a leap year* 28th. That gives you a little over a month. If I don’t have any submissions, I’ll extended the deadline, reboot the contest, whatever. Now, prizes. If you submit a crossover (or multiple ones 😉 ) you are automatically guaranteed a link/shoutout in the post on the deadline. I will pick the winner based on plot, level of difficulty (e.g., a Lego Movie/Avengers crossover would get more points than a Frozen/Tangled crossover), how close the characters are to the original, and probably a few other things I come up with… And the winner’s story will be posted on here, with the author’s permission. I stopped at eight because somehow I already had more than ten quotes… Go figure. Find two fandoms, and (optional) choose a quote to include. 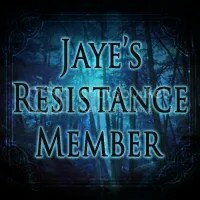 Post your story on your blog (or someone else’s). Put a link to your story in the comments here. Please, please participate! The more participation, the more likely it will be that I’ll do this again! Have fun!